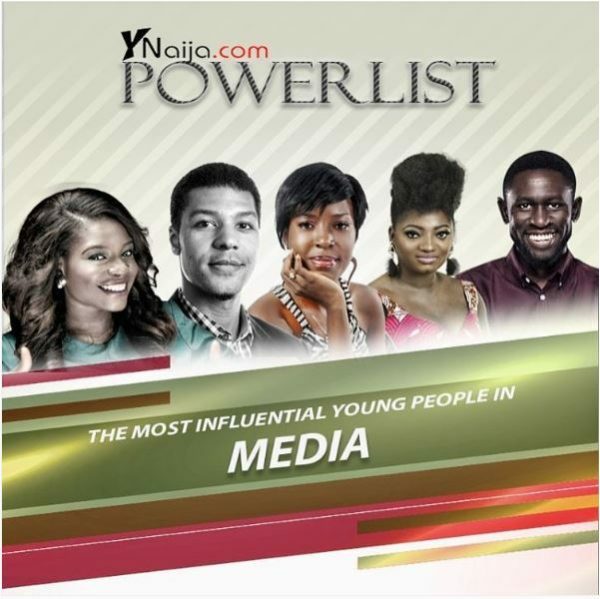 List Of 10 Most Influential Young Nigerians 2016. As the annual #YNaijaPowerList enters its 5th year, we bring you the 10 most influential young Nigerians under 40 navigating the arcane and increasingly complex world of technology. Our list runs the gamut from media overlords, industry captains, and serial start up investors. They are young, tough and unafraid to take the plunge. One of the biggest (and most heartwarming) news stories of the year was the $24 million investment by the Chan Zuckerberg initiative into the 2 year old Nigerian startup Andela, cofounded by Iyinoluwa Aboyeji. Aboyeji’s Andela which is supposedly ‘’harder to get into than Harvard’’ a global talent accelerator that trains young intelligent Africans to be world-class developers before connecting them with employers around the world who are in search of top tier technical talent. If you find yourself excited by Ventures Park, the trendy and aesthetically sound incubation/start up hub that has taken Abuja by storm, then you have Kola Aina to thank. A serial investor, Aina is also among other things, CEO of Emerging Platforms Ltd, a software and technology firm that specializes in developing innovative technology based solutions in education, national security, governance and healthcare sectors. Online payment trends in Nigeria have been less than impressive to say the least. Akinlade’s Paystack (he is a co-founder) is a promising payment solution that is set on challenging Interswitch’s chokehold on the market. Paystack, tries to deliver a safe, modern payment experience for customers and merchants in Africa. Paystack is enlisted into Y Combinator, a major Silicon Valley startup accelerator and has enjoyed seed funding of $120,000. Atawodi joined app based transportation network and taxi company, Uber Lagos as general manager. In this capacity, the Imperial College of London alumnus has the mandate to make Uber Lagos as influential and profitable as the parent company. Atawodi hasn’t been off to a bad start. According to company reports, 16 months into their Lagos launch, Uber has provided 30% more rides than it did in London in the same amount of time. The Silicon Valley mosaic is predominantly white and male, its Nigerian equivalent is predominantly black and male. Chioma Chuka is trying to tilt this gender imbalance with TechHer, a community of women passionate about technology and building Nigerian women to be technology-literate so as to explore diverse opportunities in information and communication technology. TechHer trains selected females in areas like digital marketing, web development and coding. Essien is the founder of Hotels.ng, Nigeria’s largest hotel booking website. The online portal allows users from all over the world to book rooms from an impressive selection of over 7000 hotels. The company has so far raised enviable sums in funding from investors like the Spark Fund and Omidyar Network and has pooled resources heavily via crowdsourcing and on the spot tours to amass a peerless listing of Nigerian hotels. So far, over 1 million bookings have been made on Hotels.ng. Idemudia is an information technology expert and innovation specialist who has successfully birthed and helped the growth of various startups and tech related entrepreneurial activities. Her Founders Cafe blog, started in 2015, is a smart hub of and tips, happenings, highlights and trends for engaging business conversations with clients. Founders Café hosts the start-up meeting, #AbujaStartups to arm businesses with the useful and practical information. From big business and the corporate world, to banking and brand management, the impeccably established Honey Ogundeyi has done it all. These days she spends her days running her passion project, Fashpa.com, a retail e-commerce start up whose main focus is to provide on trend clothing at affordable prices, with the use of technology and a focus on key areas like sourcing, logistics, customer service and user experience. The undisputed MVP in the tech scene today has to be the uber-powerful Bankole Oluwafemi, co-founder of Big Cabal Media, owners of such hot and trendy commodities like TechCabal and Zikoko.com. Almost nothing of note happens in the tech space until it has been reported by TechCabal, the website- managed and edited by Bankole,- that has shrugged off competition to become the most important tech platform in the country. Would there be a vibrant tech culture in Nigeria without the Co-Creation Hub? Perhaps, but none can deny the overall influence that Cc-HUB continues to wield from its Yaba location. Started by Bosun Tijani and Femi Longe, Co-Creation hub remains the biggest and most influential ideas hub in the country. From BudgIT to the Re:learn centre in Abuja, some of the finest and most influential IT projects in Nigeria have been conceived or developed at the hub.